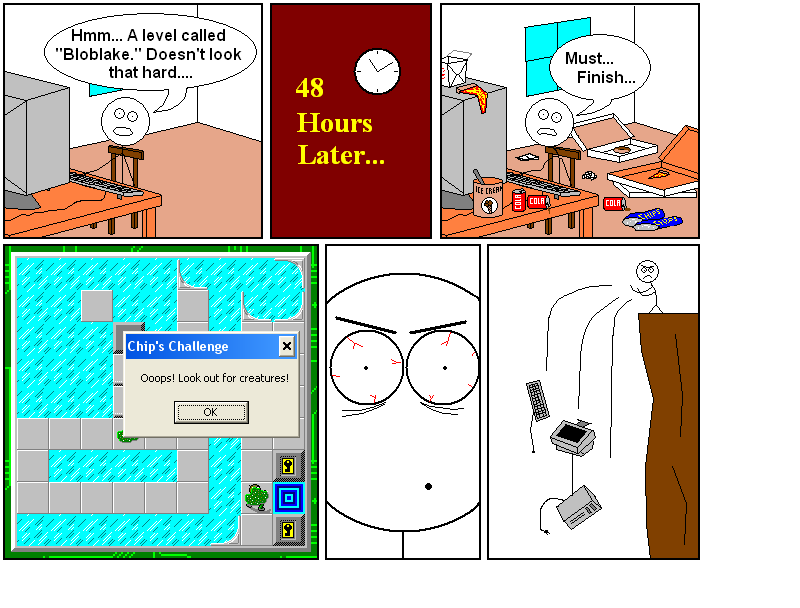 Bloblake Comic - Comics - CC Zone: The Next Level - Chip's Challenge/Tile World website! We've all felt like doing this before. LOL + For a comic done entirely in Paint (I guess), the drawing (esp. panel 3) is impressive. Yes, it was done in Paint, and thank you!